Anwar Sadat (1918-1981) changed course radically. He abandoned the Soviet-style policy of centralized economic planning and introduced free-market mechanisms under the slogan Infitah (opening). Foreign investment was welcomed, and thousands of economic advisors from the Soviet Union were sent home. Sadat’s ambition was to reassert Egypt after its demoralizing defeat in the 1967 War. After fruitless political overtures to the United States, Israel’s main supporter, he prepared, in cooperation with Syria, for a surprise attack on Israel. So on 6 October 1973 Egypt launched an offensive, crossing the Suez Canal and overwhelming the Israeli forces. Shortly afterwards, however, in an Israeli counteroffensive, Egypt lost most of the territory that it had won at the outset of the war. Both Israel and Egypt soon saw a ceasefire as the best option. Sadat is remembered for going to war with Israel at a time when most world powers thought this an impossible mission, after the disastrous defeat the Arabs suffered in 1967. Sadat later said he did not plan to launch a wide war against Israel or to restore all territories Egypt lost in the Sinai Peninsula. He said he wanted to push the United States, occupied with the Cold War against the Soviet Union at that time, to open peace talks between the two sides in order to reclaim Arab lands Israel had occupied in 1967. In the following years Sadat established friendly relations with the United States and began negotiations with Israel. In 1977, he travelled to Jerusalem, the first Arab leader to visit Israel, and addressed the Israeli Parliament, the Knesset. 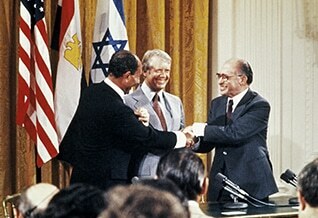 In 1978, the Camp David Accord was signed by Sadat and the Israeli Prime Mnister, Menachem Begin (1913-1992). Egypt recognized Israel’s right to exist, and Israel agreed to a complete withdrawal from the Sinai. Although some arrangements were made concerning the future of the Palestinians, Egypt’s Arab neighbours considered Sadat’s unilateral deal with Israel treason to the Arab cause and the President thus a traitor. Egypt was thrown out of the Arab League (League of Arab States). Its headquarters was moved from Cairo to Tunis. Sadat initially tried to win over the population by allowing them more freedom. 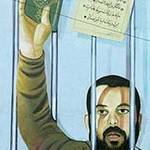 An extensive amnesty was granted to political prisoners, including leaders of the Muslim Brotherhood who had been imprisoned by his predecessor, Nasser. Press censorship was relaxed, and the establishment of political parties was allowed in 1977. Sadat’s economic policies seemed to be paying off. Gulf Arab governments, flush with money from high oil prices, invested heavily, but the new wealth was not distributed evenly. While the rich and a new middle class benefited, the poor remained poor, and Sadat’s last years in office were marked by charges of corruption against the new business class that benefited from the Infitah policy. President Anwar al-Sadat, US President Jimmy Carter and Prime Minister Menachem Begin of Israel shake hands in front of the White House in Washington, 1979. 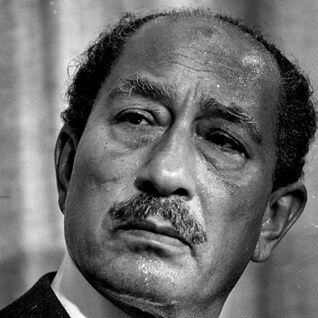 As social discord grew, Sadat countered leftist opposition by allowing more freedom to the political Islamic groups, but when the Islamists turned their criticism to Sadat and his economic policies, corruption, and the peace accord with Israel, he tried to rein them in again by ordering a clamp-down in September 1981. Thousands of Muslim fundamentalists and other political opponents were arrested. 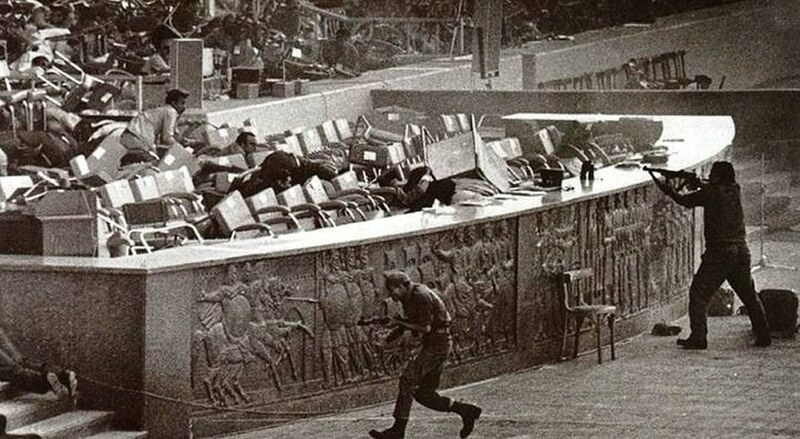 Sadat was assassinated in Cairo on 6 October 1981, during a military parade, by a number of officers and soldiers linked to al-Jamaa al-Islamiya (the Islamic Group).